Stampede Park has been home to the Calgary Stampede for over a century. So it should be no surprise that the Stampede strives to be a responsible steward of its site, nestled by the Elbow River. 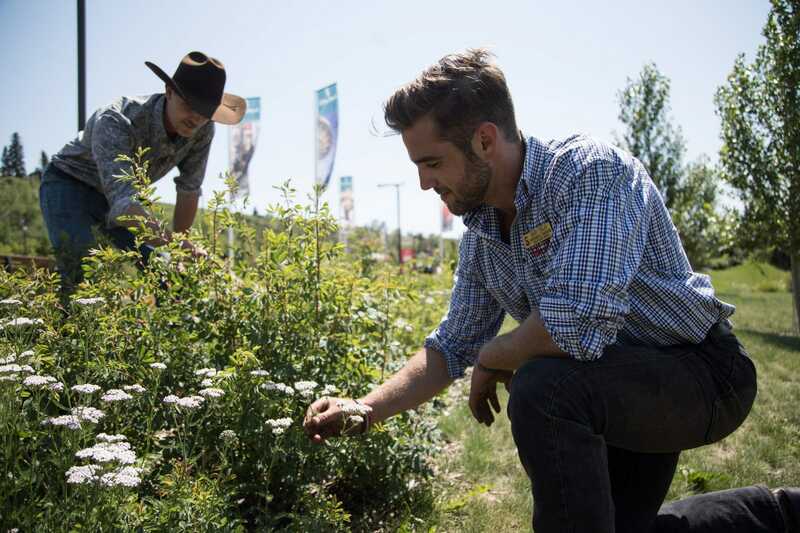 In order to maintain the integrity of our planet and our communities, the Calgary Stampede has formulated goals that will uphold community values and standards. Recycling practices, energy efficiency technology, green products and water safeguarding measures are just a few of the efforts in place on Stampede Park. The Stampede maintains three principles of environmental safety: 1. Comply with all applicable regulations; 2. Continually seek improvement; 3. Minimize how our operations negatively impact the environment. A bulb eater that crushes fluorescent tubes and separates the mercury and phosphorous vapors. The environmental management system registered to ISO 14001. ISO: 14001 is an international standard for an environmental management system which was implemented to mitigate or eliminate any negative impact on the environment through our activities, products and services. It also ensures we are compliant to all applicable environmental laws; we strive to continually improve and prevent pollution. Twenty on-demand hot water heaters on-Park. Twenty-eight waterless urinals on-Park save enough water to fill just over two Olympic-sized swimming pools. A No Idling policy for vehicles. Approximately 3,000 trees saved annually by recycling cardboard and paper in the years 2012-2013. Approximately 1,827 trees – a number of which are heritage trees – and 6,515 shrubs contribute to a healthy ecosystem on-Park. Water refill stations, diverting 44,000 plastic water bottles. Fleet right-sizing ensures the most efficient vehicle is used for the task. Annual Riverbank Cleanup for all the employees and volunteers. Environment Education programs for the kids through Stampede School. In Journey 2050 students are taught how to make agriculture sustainable and meet the growing demand for food. Refrigerant recycling process for our air conditioning and refrigeration units. Park-wide Yellow Fish Program, where all stormwater drains that directly empty into the river are identified with a yellow fish marker. The yellow fish serve as a warning to be watchful of our actions. Park-wide Orange Dot Program, part of our Asbestos Management Plan. Bat houses were installed as an eco-friendly mosquito controlling system. These houses create a natural ecosystem for bats, which eventually feed on mosquitos and other insects and thus control their populations. Doing this allows us to not rely on chemical spraying techniques. The “Grown Right. Here.” Program, which reduces our environmental footprint while serving up an authentic western culinary experience by sourcing food from local producers. We also offer guests sustainable seafood choices by participating in “Ocean Wise”, a Vancouver Aquarium conservation program that ensures the health of our oceans. High-efficiency lighting which uses less power and provides more light throughout the Park. On average, 910,000 beverage containers recycled from the Park in 2015. More than 46.03 metric tonnes of cardboard and recyclables collected in 2014. Approximately 10.66 metric tonnes of used cooking oil and grease collected and recycled for use as bio-fuel or recycled into other products. Lights on the Midway are not turned on until dusk to cut power consumption. Programmable systems used to monitor and control energy consumption. DIG (Doing It Green) organics collection program for all Midway vendors. DIG zero waste stations educate the public while further diverting waste from the landfill. In 2016, 2,000 guests were given Green Drop tree seed packages. The packages included a seed to plant, along with information about environmental protection. Back-of-house composting program in the Range. Commissary composting and recycling program which diverts 80% of waste from the landfill. Use of golf carts and the organization’s first electric truck. Future plans include compost across Stampede Park and changing to LED street lighting. The Stampede’s focus is to reduce the Park’s carbon footprint through technology and the three R’s – Reduce, Reuse, and Recycle!